Tanken på snö och jul känns ännu härligt avlägsen! 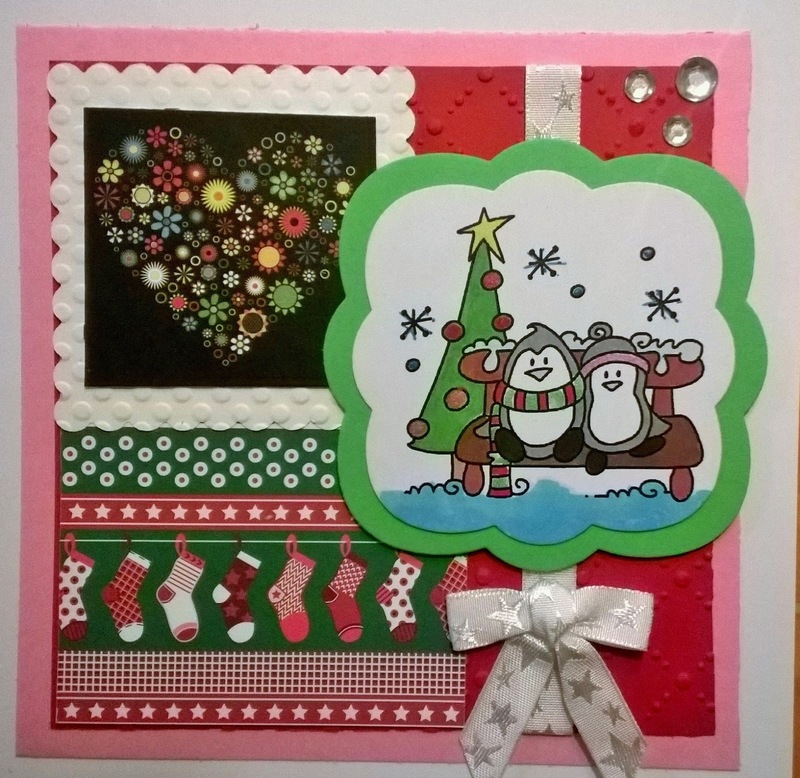 Jag deltar i: ABC Christmas (P is for Penguins), CHNC (Fur/Feather), Sweet SketchWednesday, Creative Card Crew (Embossing), Suzy Bee (AG), Crafts 4 Eternity (AG) och CHNC Extra. Oh what a great Christmas card Jessi I love this image and great Christmas colours and added embellishments. Great card and thanks so much for joining us this week over at Sweet Sketch Wednesday 2 and good luck. What a lovely card. So happy that you could join us this week. Very cute. I adore the ribbon you used. Very beautiful. Fab penguin card. I love the sock backing paper too.